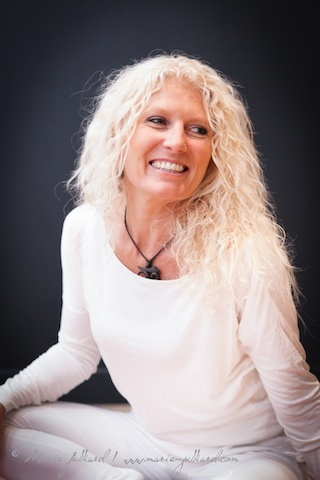 Charlotte has created an online yoga web site full of classes, healthy living advice & guidance, recipes and meditation. 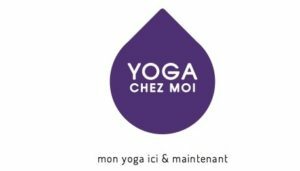 A French-speaking online site jam packed with classes by Charlotte and a beautiful group of yogis and yoginis who gently guide you through different styles of yoga and well-beings practises. The site is a great ressource for healthy living so check it out. Charlotte has produced two yoga DVDs available in French and English. The sessions filmed in this DVD are practises that Charlotte does and teaches regularly to maintain the calm and the energy levels in her daily life. A practise inspired by the vibrations of the day will keep the body and mind attuned to what it needs and when. Charlotte tries to teach this not only through these dvd sessions but also in her classes and workshops throughout the year. The filming of these sessions was inspired by her students – working a ski season in one place and a Summer season in another left her students without a teacher for 5-6 months so this dvd would act as their motivation to practise in her absence. The sessions were all filmed at her home in the Ardeche shortly after the birth of her second child. Solar Sessions : Very beneficial in the morning to enhance your inner vital energy and give you that inner fire that you need to move through the challenges and joys of your day. The sequence of postures encourages the heat to increase as the body moves & stretches through the poses allowing the prana (energy) to circulate more freely whilst increasing your inner calm. Lunar Sessions : Two Vinyasa Sessions Lunar style to relax and open the body and the mind. Better practised at the end of the day but an excellent compliment to a busy day or the full moon period. The sessions bring the awareness back to the earth element and are designed to restore, be more introspective and encourage long and slow breathing for greater awareness of the stillness within.